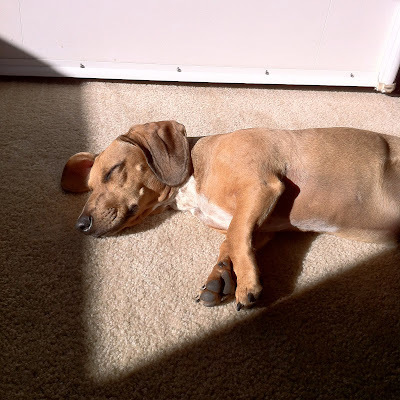 Walt loves snoozin' in the sun... But then again, who doesn't?! Does your puppy or kitty do something weird at meal times?